As per a popular Chinese tech analyst, the technology company will have a fingerprint sensor in display in its new smartphone. Since the beginning of the year 2017, many tech giants such as Samsung and Apple have been in news due to the presence of fingerprint sensors. Firstly, Samsung’s Galaxy S8 and S8+ were believed to have fingerprint sensor in display. And when it didn’t happen, the whole concentration of speculators shifted to the forthcoming Note 8. Besides Samsung, it is expected that Apple’s iPhone 8 or iPhone X may also sport this unique technology. The price of basic model of iPhone 8 can start from $870, and the price of its 256 GB model can go up to $1070. And now, when the speculation market is already hot, Vivo has also entered this race. 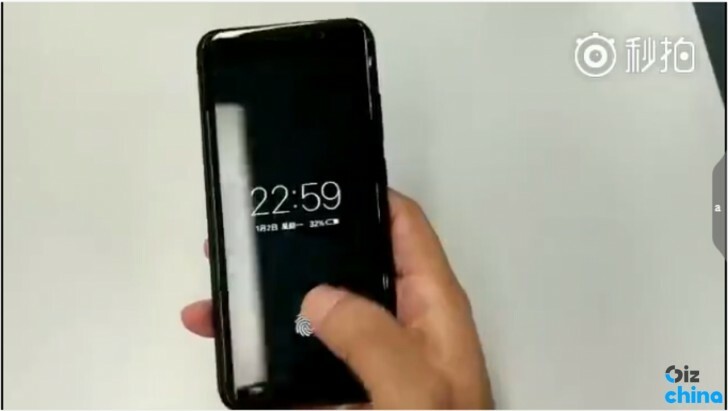 Seeing the latest leaked images, we assume that the smartphone company Vivo may have a fingerprint scanner embedded in display. The company is all set to unveil its new smartphone on 28th June, 2017. And we’ll confirm how much this rumor of the upcoming smartphone sporting a fingerprint sensor in display turns out to be authentic. So, stay tuned for any of the upcoming events or updates related to Vivo’s new smartphone.